Although there were 16 separate racing events in our 2018 calendar for this past weekend, we decided to go ‘cruising’ instead. We weren’t alone. The Bay was covered with both racers and cruisers enjoying the last of warm-weather sailing. The weather’s been so beautiful these past few weeks that we’re beginning to wonder if the California winter will ever arrive. We’re in no rush. With a strong ebb on Sunday afternoon, we avoided the Central Bay, as we didn’t want to spend too much time fighting our way home, and just headed for a loop of Angel Island. The breeze was moderate, but we saw a good number of boats reefed anyway, leading us to believe relaxation was a primary motivator for being out for a Sunday afternoon sail. We grabbed a few shots of some boats out for the day, all lookin’ good. It was an ideal weekend for a casual wander around the Bay. Fall sailing under the Headlands. A reef and small jib keep it comfortable. Despite a strong ebb, the normal Bay washing machine was on delicate cycle wherever we went. Sailing shorthanded with a reef and making it look easy. Taking it easy wing-on-wing with no pole. You do have to pay attention. 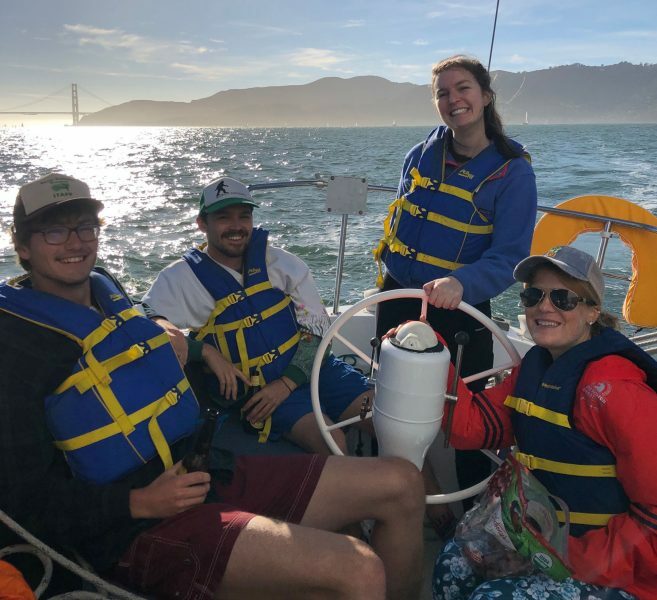 Another Latitude crew had a pleasant Saturday evening sail on the Oakland-Alameda Estuary, with a sunset stop at Jack London Square’s guest dock. Much farther south, the Baja Ha-Ha fleet was continuing their pleasant sail, with most boats pulling into Bahia Santa Maria from Turtle Bay today. 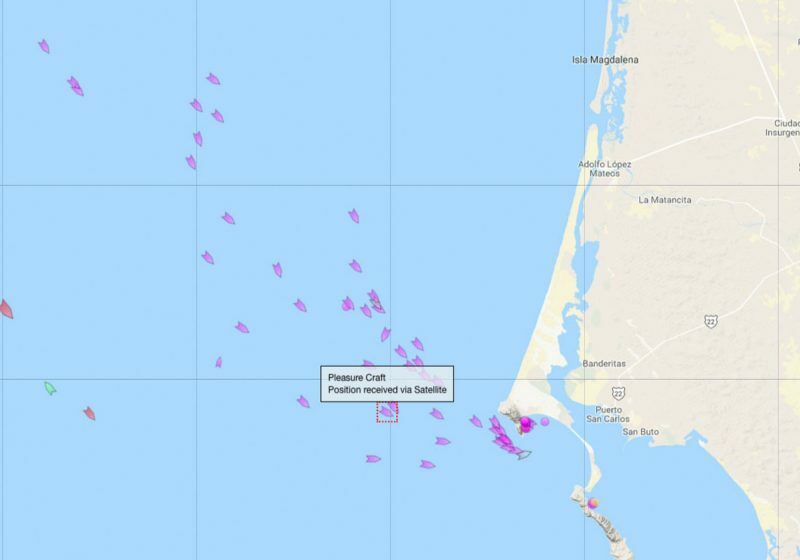 With AIS and the Marine Traffic website those who are ‘getting away from it all’ are still highly visible as they pull into Bahia Santa Maria today. Fall cruising season doesn’t only happen in Mexico. 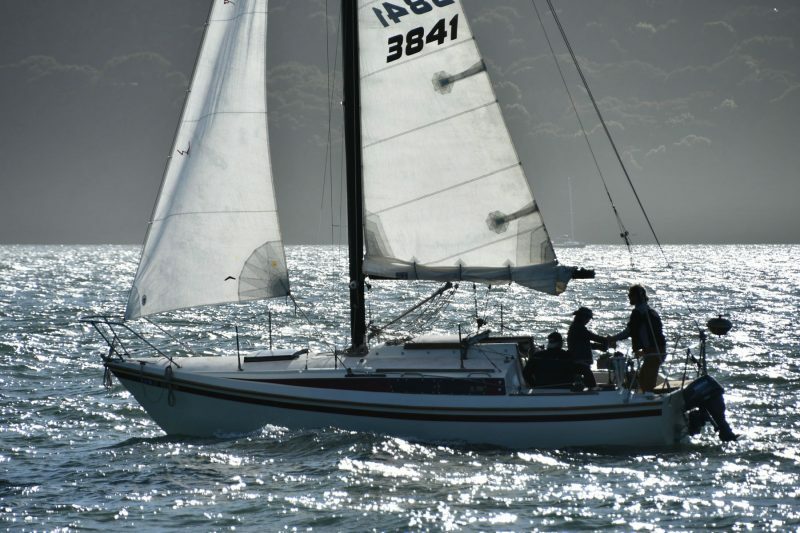 Daylight is shorter but the winds are often more comfortable, so it’s a great time to take out friends and family who might have otherwise been terrified sailing with you in July! And about all that Bay Area racing this weekend? We will cover some of the highlights in Racing Sheet in the December issue of Latitude 38. Just as we were finishing up this morning’s ‘Lectronic Latitude, we received a “Stop Presses” email from the Golden Globe solo around-the-world race. Jean-Luc Van Den Heede (aka VDH) was leading his seven remaining competitors by more than 2,000 miles when he suffered a knockdown today aboard Matmut. The Rustler 36’s mast suffered damage to the bolt attachment that holds all four lower shrouds. The mast is not in danger of falling. 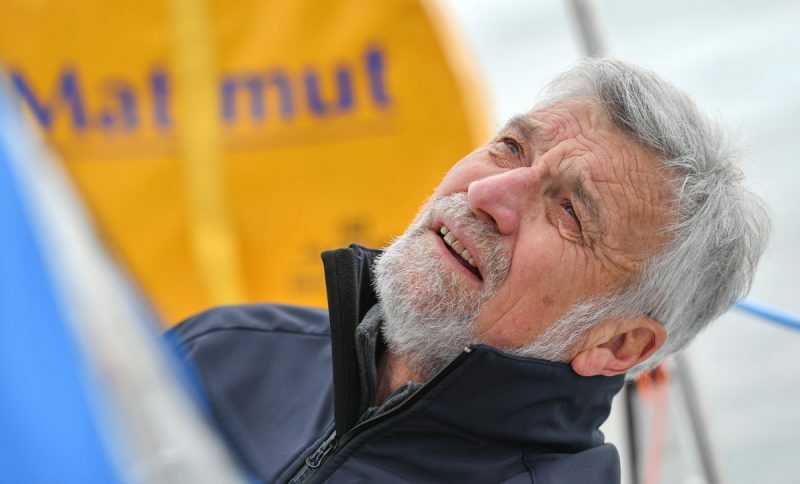 The 73-year-old Frenchman reports 65-knot winds and 36-ft seas, and is now running downwind without sails until he gets out of the storm. His plan is to make for Valparaiso, Chile, where he will repair the boat. He does not want assistance and is confident that he will make Valparaiso safely. But his stopover will move him to the Chichester Class. Jean-Luc VDH was a full ocean ahead of the tail-end Charlies until his unfortunate knockdown — which could have had much worse results. 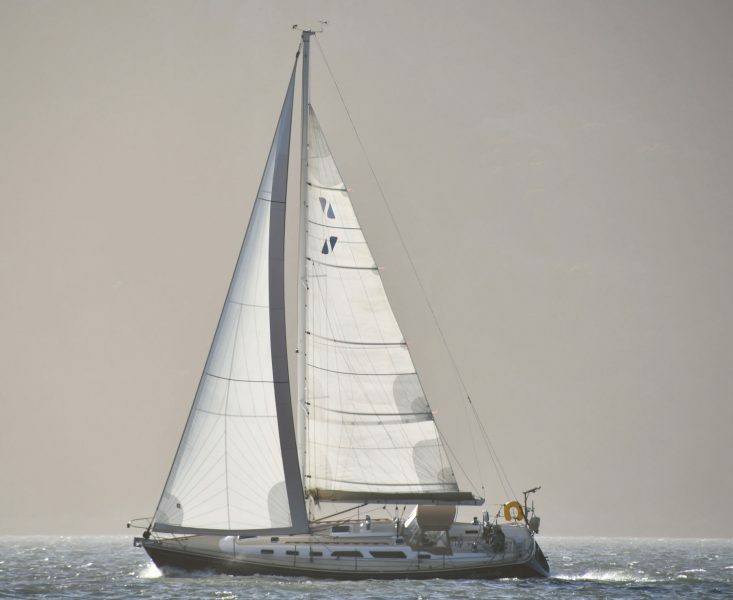 VDH’s misfortune will shift the Golden Globe lead to Dutchman Mark Slats, who is also sailing a Rustler 36. Slats has 11,006 miles to go to the finish in Les Sables d’Olonne, France. The eight competitors in the Golden Globe Race are so spread out they don’t all fit on one ocean. 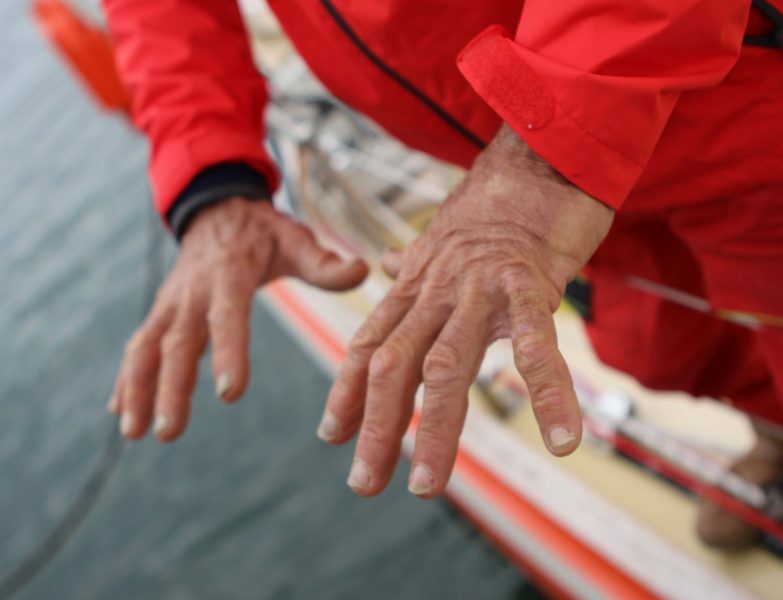 Istvan Kopar’s hands are suffering from what appears to be a fungal infection from his time at sea. For more and to follow this grueling 1960s-style adventure, see www.goldengloberace.com. 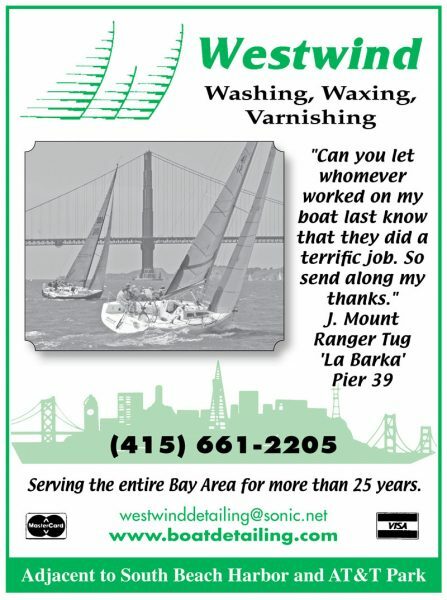 There’s a new club coming to the Bay Area’s newest piece of waterfront, and it will have yachts. But don’t call it a yacht club. The Club at Westpoint was formed in January, and as of the summer, already had nearly 100 members signed up. Currently housed on the top floor of the Westpoint Harbor harbor house in Redwood City, the Club at Westpoint hopes to break ground soon on a “high-tech, modern, super-cool, classy, sophisticated, elegant 15,000 square-foot two-level building,” according to Kevin Parker, one of the people behind the Club at Westpoint. Parker says the club hopes to have a soft opening at Thanksgiving, with the full opening in December 2019. An artist’s rendering of the proposed Club at Wesptoint. 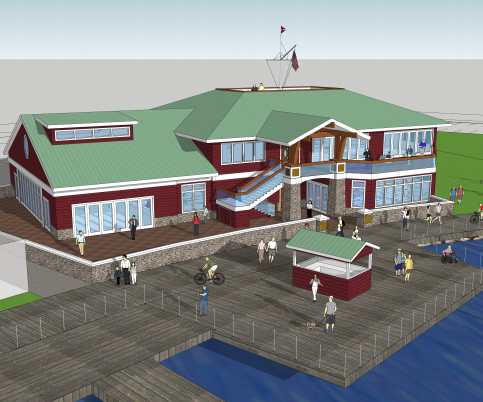 The new building will also have showers and changing facilities for sailors coming off the snortin’ summer South Bay. Parker said that the two-floor Club at Westpoint will have a casual downstairs bar and restaurant, “serving good, wholesome food in the style of a British pub.” The downstairs will also feature a conference center, which will double as an event space and be available to rent out. The bottom floor will open onto a one-acre green area, where there will be indoor and outdoor seating. 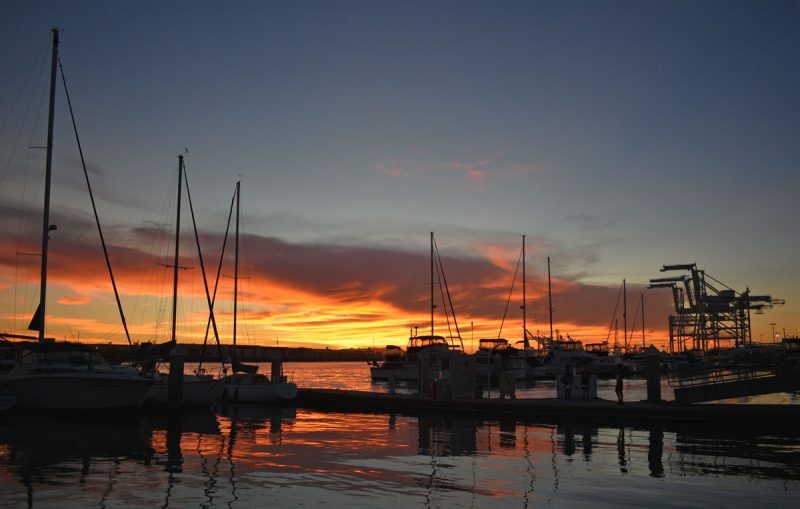 Redwood City is, of course, known for his exceptional microclimate, which tends to be a few degrees warmer than the surrounding towns during the summer months. 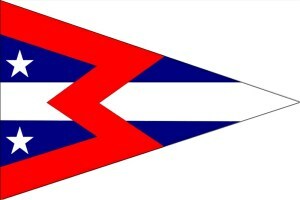 With a new club comes a new burgee. For more information, please go to The Club at Westpoint. 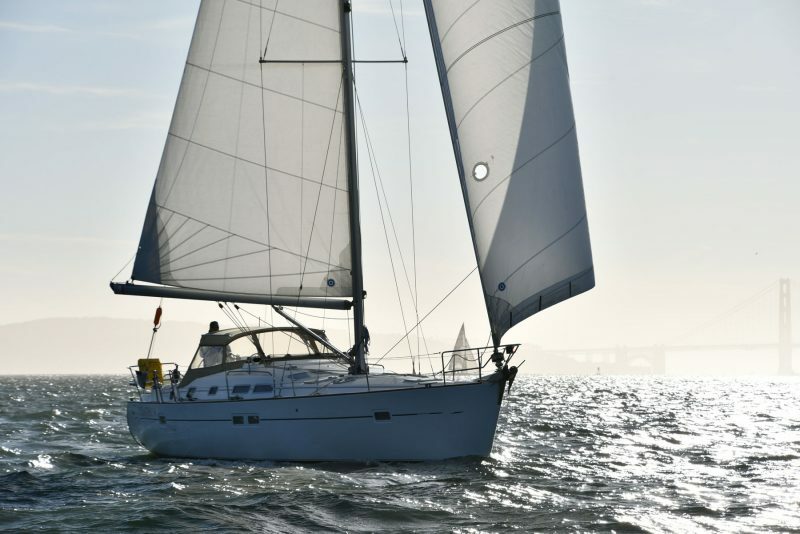 Mark from Rubicon Yachts said a customer came in and told him that the October issue was the last month for the printed edition of Latitude 38, and that Latitude was going entirely online. Perhaps the biggest race most Americans have never heard of is about to get underway in France. 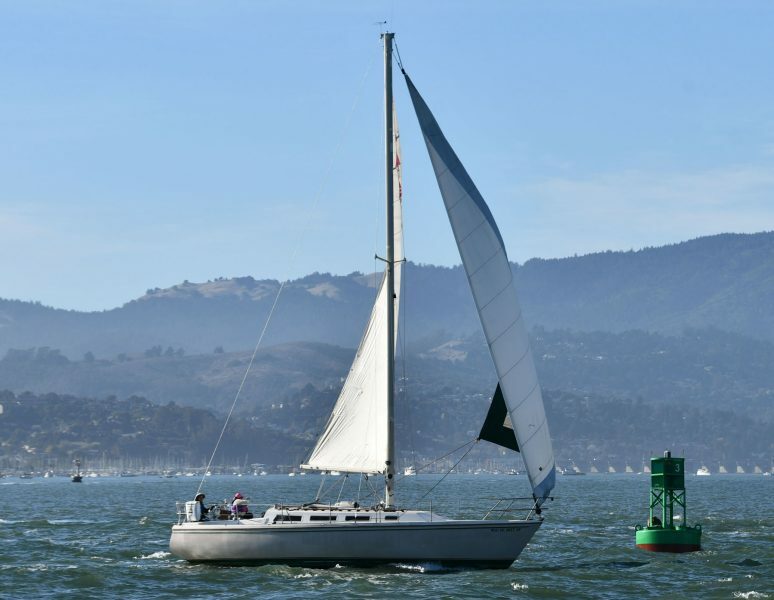 Here are some news nuggets for your Friday: Coast Guard Comes to Aid of Diabetic Sailor off Eureka On Wednesday, the Coast Guard came to the assistance of a sailor onboard a 29-ft sailboat off Patrick’s Point, near Trinidad, California, just north of Eureka. On Monday we challenged you to test your nautical knowledge by playing along with Richmond Yacht Club’s Great Pumpkin Regatta trivia quiz.